If there is one thing that is going to set you apart on your Paris travels, it’s your skin! A perfect complexion is big in Parisian culture, and the key to evening out your skin is simple. 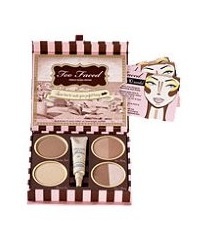 CG loves Too Faced The Bronzed & The Beautiful French Riviera Edition Bronzer, available for $38.00 at Sephora.com. This beautiful bronzer primes your face and leaves your skin glowing and gorgeous! What’s more? This bronzer also has SPF 30, which is definitely going to come in handy when sightseeing! Give your lips the luxe treatment with Color Riche Le Gloss Lip Gloss Baby Blossom from L’Oreal Paris, available for $5.97 at Walmart.com. This fabulous French lip gloss leaves lips shimmery and shiny without the awful sticky feeling some other glosses have. Plus, Baby Blossom is the perfect color for an evening spent touring the French Riviera or dining in France’s chicest spots! Get ready to smell absolutely amazing with Yves Saint Laurent Baby Doll Paris perfume, available for $37.76 at Walgreens.com. This soft perfume is perfect for college girls because it is demure and mature while still maintaining a playful, youthful vibe. The top notes of this fragrance include orange, apple and pineapple, followed by rose, freesia and lily, concluding with bottom notes like tonka bean, cedar and vanilla. Still looking for a reason to love this perfume? It won the Fifi Award in 2000, which pretty much makes it official: this perfume is definitely an all-around winner. Finally, ensure that your skin is soft and smooth with Bella Il Fiore Happily Ever After Whipped Body Creme, available for $22 from BellaBeauty.net. This thick, luscious body cream will leave your skin feeling silky smooth and moisturized (it’s enriched with pure aloe vera). However, it is more than just moisture ... this fabulously French hand cream also will leave you smelling like sweet honeysuckle ... oh, la la! You’ll be able to say “bonjour” just like a true Parisian with these four fabulous beauty products! From the sugary sweet lip gloss to the beautiful Yves Saint Laurent perfume, this collection of products is super girly and uniquely Parisian. 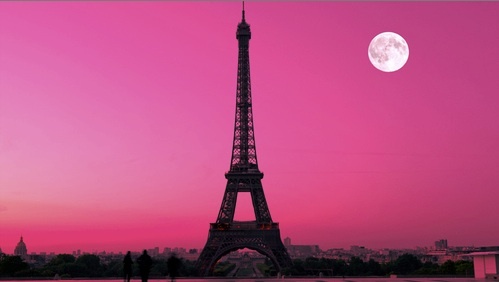 Are you traveling to Paris this summer or fall? Which of these products will you be sure to pack? Let us know with a comment! wow! so cute i cant wait to try that!! !